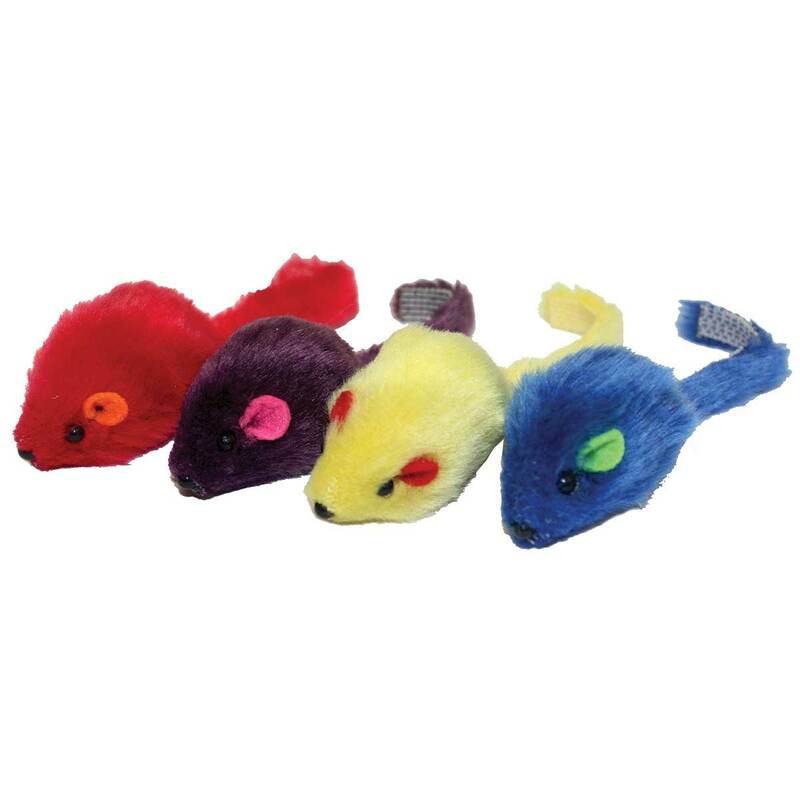 These multicolor mice have real fur-covered bodies and felt noses and eyes. Mice measure approximately 4.5" long. Assorted colors. Skinneeez Forest Friends Teaser Wand With Catnip 13"